Do it ALL yourself with this toolbox of support. Tackle even the hardest projects with 24/7 access to project plans, online quick classes, Family Handyman magazine & exclusive benefits! Fix it, build it, maintain it—yourself! Gain access to our complete library of DIY University quick classes-Including two new projects per month! Learn how to install baseboard and crown molding, kitchen backsplash, and outlets; get the skills to replace or fix a broken toilet, build a workshop, add elegant kitchen storage, and so much more. Access your classes 24/7 with a computer, smartphone or tablet. 64 years of DIY experience from the experts and instructors at Family Handyman. 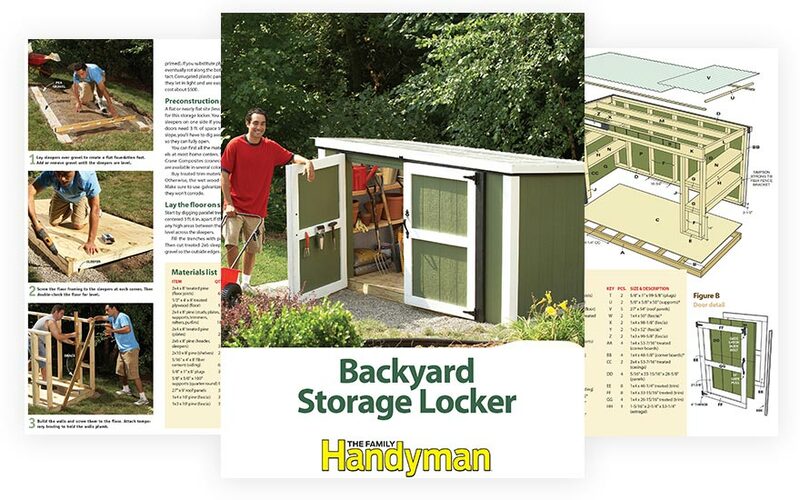 Whether you're planning to build your own shed, backyard deck, or add storage to your home—you will have access to our library of searchable, downloadable and printable project plans designed to take the guesswork out of the equation, so you avoid mistakes and achieve your dreams. 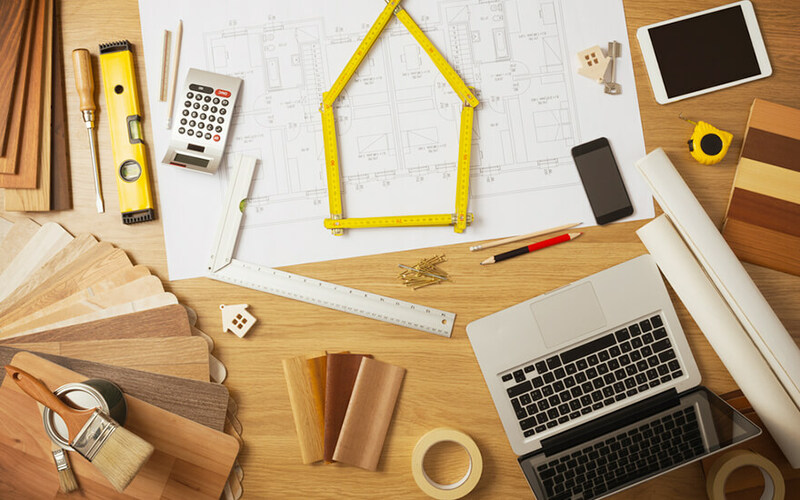 Easy-to-follow project plans to help you create your dream home improvements. Detailed plans that you can download and print from your home printer. Eager to start your next DIY Project? Enjoy cutting-edge home improvement plans, home repair and maintenance guides, and articles from the experts with a one-year subscription to the stunning print magazine. Plus, you'll get free digital access—so you can read the latest issue online. Want the inside scoop? 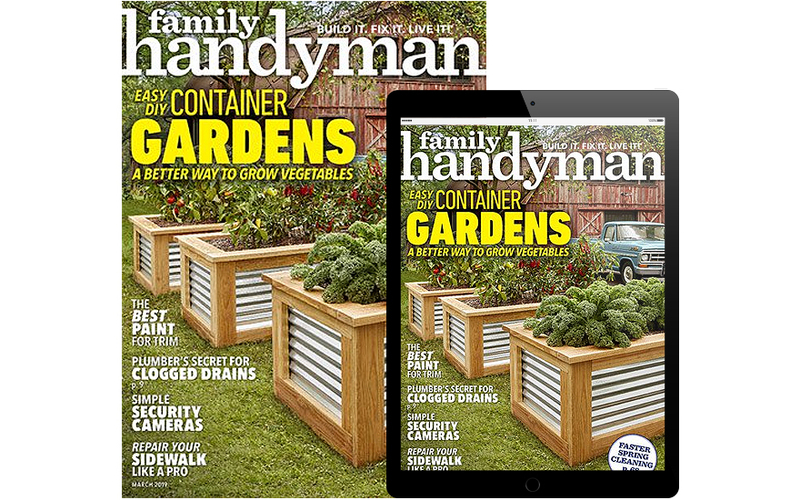 When you become a Family Handyman Insider, you'll be in the know with your exclusive monthly newsletter. 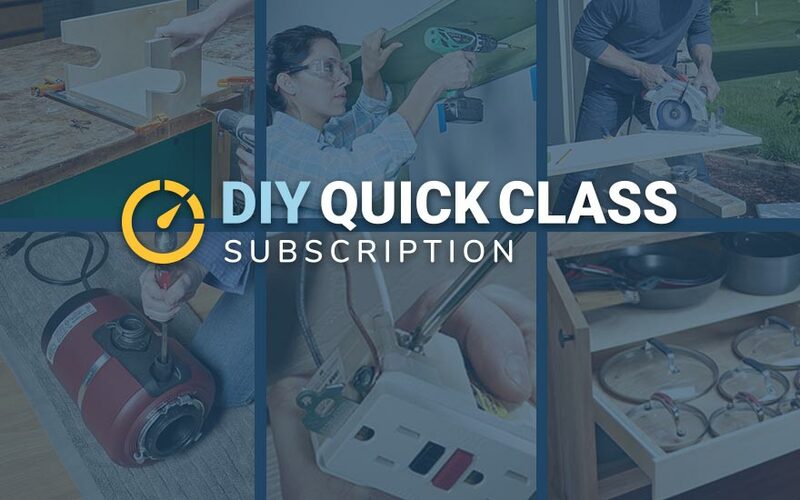 See projects other Insiders are working on, learn about new project plans and DIY University Quick Classes that have been added to the library, see what goes on behind the scenes at Family Handyman, and more! As a Family Handyman Insider, you can ask questions about project plans, DIY University quick classes, and articles in the magazine, all through an exclusive Insider Inbox. Watch the monthly newsletter to see if your question gets answered by one of our experts. You will also be able to share projects you are working on, and they may even be featured in the monthly newsletter subscriber projects section. How do I get my Family Handyman Insider Benefits? All your exciting Family Handyman Insider benefits will be easily accessible through your personal dashboard. Here, you'll find links to access all of your member benefits. Plus you'll receive a members-only monthly email newsletter. When will I get access to DIY University Quick Classes and the Project Plans? Right away! As soon as you sign up and login for the first time, DIY University and Project Plans will be available. 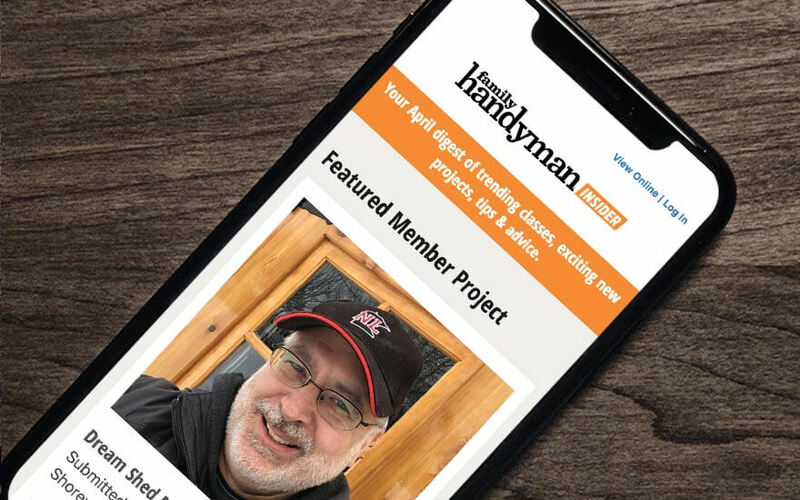 To help welcome you to the Family Handyman Insider program, we'll send you a Welcome email to show you how to get started. Your trial period will begin as soon as you complete the check-out process. You can enjoy every aspect of the Family Handyman Insider program immediately! If you're happy, do nothing and your credit card will be charged at the end of the 14-day free trial. If you choose to cancel at any time before the end of your free trial, your credit card will not be charged. Our customer service experts are available to answer your questions. Contact us here.